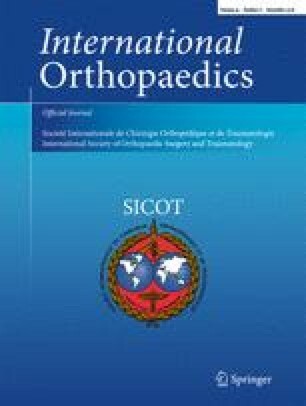 The purpose of this study was to evaluate the results achieved after the use of lateral minimally invasive plate osteosynthesis (MIPO) in oligotrophic humerus nonunions resulting from failed intramedullary nailing (IM). We evaluated nine patients with humerus nonunion after failed locked intramedullary nailing, all treated using 3.5-mm locked compression plates (LCP) placed through lateral minimally invasive approaches, between 2010 and 2016. Patient’s age averaged 39.7 years. All nonunions were diaphyseal and oligotrophic. All nonunions had previous surgical treatment with static locked nails (seven antegrade and two retrograde). The IM nails were all well inserted in the humerus (none of them protruded or had rotator cuff lesions associated). Pre-operative Disabilities of the Arm, Shoulder and Hand (DASH) score averaged 25.5 points. Pre-operative Constant’s score averaged 80.2. Pre-operative visual analog scale of pain averaged 2.4 points. Follow-up averaged 17.7 months. Time between initial surgery and revision procedure averaged 11.7 months. Union was achieved in all cases, after an average of 4.8 months. DASH score at last follow-up averaged 5.1 points, and final Constant’s score averaged 93.7 points. The analog scale of pain averaged 0.7 points. Time from definitive surgery to work return averaged 3.9 months. Long 3.5-mm LCPs were used (plate length averaged 16.9 screw holes). In two cases, a third 4-cm incision at the nonunion site was performed and cancellous autologous iliac crest bone graft was associated. In our series of nine patients, we achieved union and good objective and subjective results, with high patient satisfaction, using a lateral MIPO technique and placing long 3.5-mm LCPs in selected oligotrophic humerus nonunions after failed IM nailing.